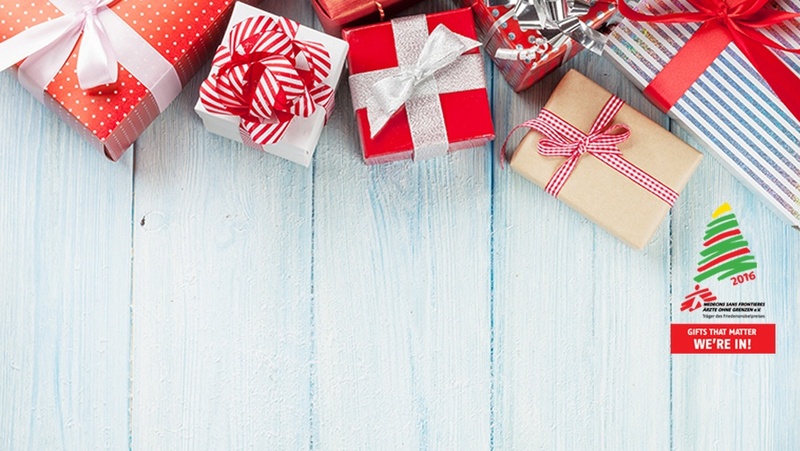 For Dennemeyer December is for giving - and this time we decided to donate to three different charity projects. In addition to the sum generated through our IP Christmas Quiz we also supported two projects in Romania. 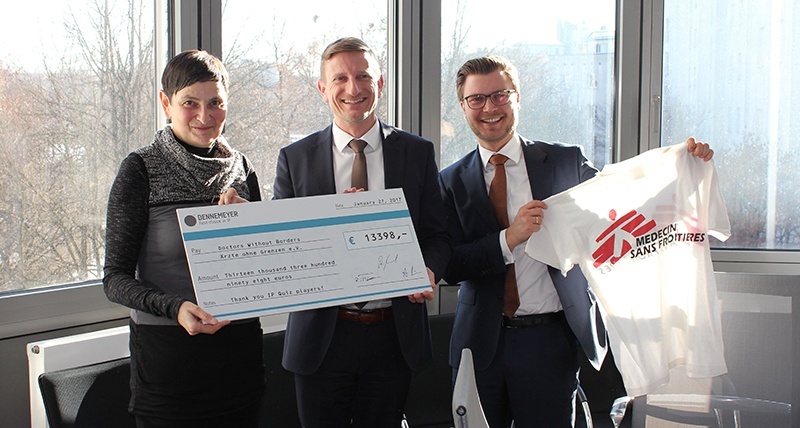 The tranch that came from the IP quiz (more than 13.000 euros) was last to be handed over officially - as a cheque to Doctors Without Borders in our Munich office. In total, the Dennemeyer Group donated more than 40.000 euros to charity this season. As part of our Christmas donation campaign we decided to donate the money that was collected during our IP Christmas Quiz to Doctors Without Borders. On Friday, January 27th, this amount (13.398 euros) was finally given to Heike Penner who represented the NGO. The cheque was handed over in our Munich office by two of the directors of the donating companies: Dr. Robert Fichter (Director of IP Law firm Dennemeyer & Associates) and Alexander Mühlberger (Director of Dennemeyer Consulting). Penner works for the University Hospital of LMU Munich and supports Doctors Without Borders in her spare time. She gave insights into the general operating mode of the NGO and spoke about her own project experience. Heike Penner from the University Hospital of LMU Munich and member of Doctors Without Borders presented some of the projects the donation amount will be used for. A big cheque for a good cause: Heike Penner (left) accepts Dennemeyer’s donation from Dr. Robert Fichter (middle) and Alexander Mühlberger (right). Doctors Without Borders will use the money to support various projects such as vaccination programs against malaria in Congo, a newborn station in Iraq or emergency aid on the Mediterranean Sea. In total the Dennemeyer Group gave more than 40.000 euros to charity this christmas season. Besides the contribution to Doctors Without Borders, we also supported two other charity projects in Romania: Dennemeyer IP Solutions Romania contributed with 11.000 euros to “Hospice Casa Sperantei”, a foundation that offers palliative care for the elderly as well as for patients affected by terminal or life-limiting illnesses and counseling and support services to their families. Furthermore, the Romanian subsidiary of IP law firm Dennemeyer & Associates donated 17.000 euros to “Save the children Romania” as part of our commitment to support the education and acquisition of high tech equipment for children.